Cruise along the Valley of the Butterflies with a daily tour and learn all history about the island. Travel to western side of Rhodes and walk around its leafy walkways and streams. All entrance fees and food are at your own expense. TOUR CODE:Butterfly Valley Boat Tour Departure from the hotel and transfer to the boat. Boat cruise leaving from Oludeniz Beach. Swim in the Blue Cave before stepping at Butterfly Valley. Ans climb up to the Waterfall where you can see a rare Tiger Butterfly shouldn’t be missed. Lunch is served on the boat before we stop at St Nicholas Island where you can climb amongst the ruins to the top of the Island for magnificent views. Swimming at ‘Cold Spring Bay’ where fresh water leaks into the sea, is full of refreshing! 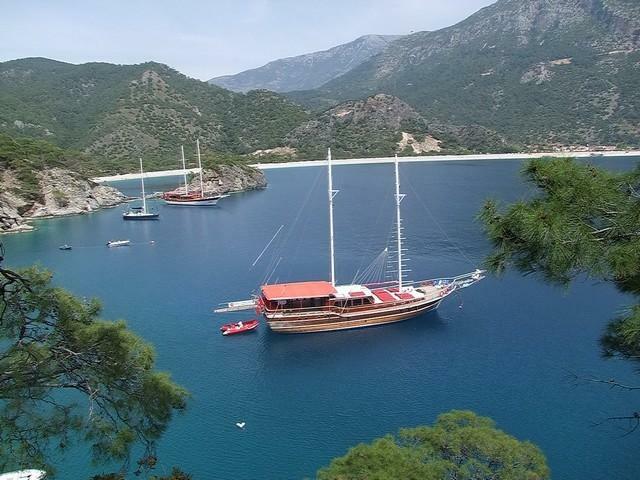 At the evening, sail back to Oludeniz Beach and transfer to the hotel.